There is an entire secret society out there. I’m not talking the Templar Knights. They aren’t hiding some kind of scrolls or protecting a family linear. But what they do, it’s just as important. And it’s a sisterhood, not a brotherhood. Ok, so they aren’t a secret, but it was to me, because I just found out about them this past weekend. Before I tell you about them, let me tell you about my lifetime search for them. You see, I think I’m different from other adults my age. Actually, I think I’m different from most adults, any age. I enjoy being a kid, being silly, and get excited over the most simplest things, just like a kid, and I try to keep my little girl inside of me happy. I remember when I was a kid and looking at the adults around me and thinking, “Wow, they look miserable, and they’re so serious! Don’t they have fun anymore?” And swore to myself that I would never be like that. As I grew older, I noticed that the more I tried to maintain my attitude of being silly, the more people would distance from me. I began to tame myself in order to not upset others, and essentially keep my friends. 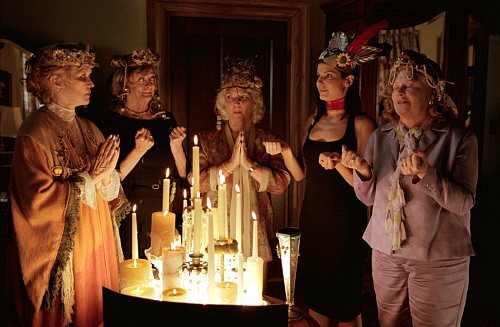 Then about ten years ago, what I think is one of the most best movies I’ve ever saw was released on video – The Divine Secrets of the Ya-Ya Sisterhood. One day I was home sick from work, couch ridden, and I watched it about six times. I absolutely loved the bond between the women, the confidence they had, and especially how they were so comfortable with having fun and being silly. I longed to be a part of something like that. This is what I wanted with my friends. A few months ago I read a book, recommended by my therapist, called Succulent Wild Woman. This is a fabulous book which talks about what a Succulent Woman is all about. It’s a woman who knows what she wants, treats herself with care, and enjoys herself and life. She isn’t afraid of what others think. She is a woman who doesn’t dim down her lights for others, and is true to herself. She is fun to be around, and is full of energy. Hmm, and my therapist thought this was me? Well, I think it’s cool to be considered a Succulent Wild Woman. I love that label! Now, it’s great to be thought of that way, and I’m beginning to actually see myself through that lens, but it’s kind of boring to be like this on my own. As I mentioned above, I long for that sisterhood, to be understood. Half of my friends from childhood pretty much walked out of my life when my father died, and the other half walked out when I separated from my ex, and really, I have to say that this would be overwhelming for them anyway. The two Succulent Women I know and blessed with their friendship now, are wonderful, but I’d like to see them more often. So this past weekend I was invited out to dinner. Normally I would just throw on jeans and a nice top, but this time my daughter and I got all dolled up. I couldn’t decide between two beautiful dresses, and so my daughter encouraged me to wear a bright red sleeveless dress. I was so self-conscious and nervous. I was going to attract attention! (Note: I’ve never owned anything that wasn’t black, blue or brown). After a few minutes, I began enjoying the bright colour. At the restaurant, to my amazement, I saw at a nearby table a group of the most beautiful women that I had ever seen. They were all wearing purple, and on their heads were the most reddest hats ever! I wanted to go up to their table and congratulate them on being Succulent Wild Women so many times, but my courage would just drain right out of me. I couldn’t stop staring. I couldn’t believe it, here, right in front of me, was a sisterhood that I longed to be a part of. Right in front of me! I had so many questions that I wanted to ask, and I was paralyzed by fear. And then, they were getting ready to leave, and my heart began sinking. Then, the unthinkable happened. The gorgeous person sitting next to me stops them and tells them that I think they’re great! OMG!!! I felt like a babbling idiot, but they were gracious enough to entertain me. 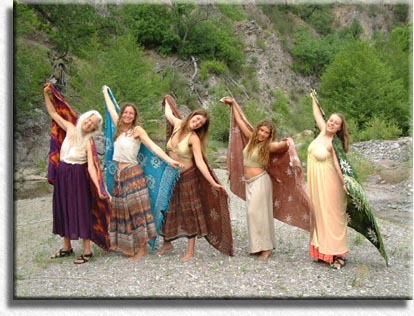 I found out that this sisterhood of theirs is worldwide. 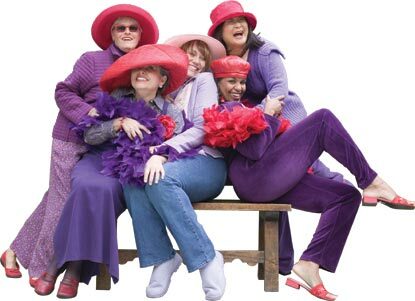 They belong to the Red Hat Society! It’s about empowering women to have fun, and support each other. Just what I wanted! I’ve been on their website so many times since then. So I decided to take the leap. I’m now a Red Hatter. Well, technically, I get to wear a pink hat because of my age. Now to come up with my name….should I be Lady Lightbulb, or Princess Peculiar? Or something completely wild like… Duchess Smartie? I’m open to suggestions….really, I am. ← Eat This, Not That! I think self-exploration is one of the journeys in life that we are blessed to be able to have – and you are exploring the move from dark to bright colour! Keep your red hat on, this is gonna be one helluva ride! “Life isn’t about finding yourself. Life is about creating yourself”! Once on the rollercoaster, life is exciting, but you can’t choose halfway along to go back to the merry go round. And you need to hold on to your hat! I think both these sayings are relevant right now to all Lady Camelias wearing bright colours ! Ya-ya was a very important book to me. I, too, envied the life long friendships of the 4 ya-yas. Read all of her books, Smartie…they are a beautiful testament to friendships everywhere, be it men and/or women!